Smokin’ Soles, a shoe store at the Meridian Mall, comes with more than Yeezys and Jordans. OKEMOS, Mich. - Smokin’ Soles, a sneaker boutique at Meridian Mall, sells shoes such as Air Jordan’s and Adidas Yeezy’s, throwback jerseys, vintage clothing, and high-end streetwear. It offers customers opportunities to buy, sell, trade and consign merchandise. But there is a deeper purpose to the store, with owner Kyle Lake wanting to create a positive community. Lake, 29, started selling shoes while he was in college at Wayne State University. The business grew to a point where he moved to the Lansing area and opened his first store in 2016, in a suite at the Waterfront Apartments in East Lansing, Mich.
Kyle Lake, 29, is the owner of Smokin' Soles, a sneaker boutique at Meridian Mall in Okemos, Mich.
Lake has had success and setbacks in his business. He outgrew his first space in Lansing and opened in Frandor Shopping Center in November 2017. Until last summer, Lake’s business was gaining customers, making money and was in an overall positive position. But in May 2018, a break-in at his store made him close while he settled with the insurance companies, regained inventory and searched for a new location. He moved to the Meridian Mall in July 2018 and resumed business. Being a business is a growing process. Learning how to satisfy customers, managing inventory, staying up to date on popular brands, product releases and maintaining consignment agreements has given Lake the opportunity to expand on his skill set as a business owner and has led him to want to spread the wealth in a beneficial manner. Sales associate Kaviko Chisolm was drawn to the store and Lake by the positive vibe and community mission. 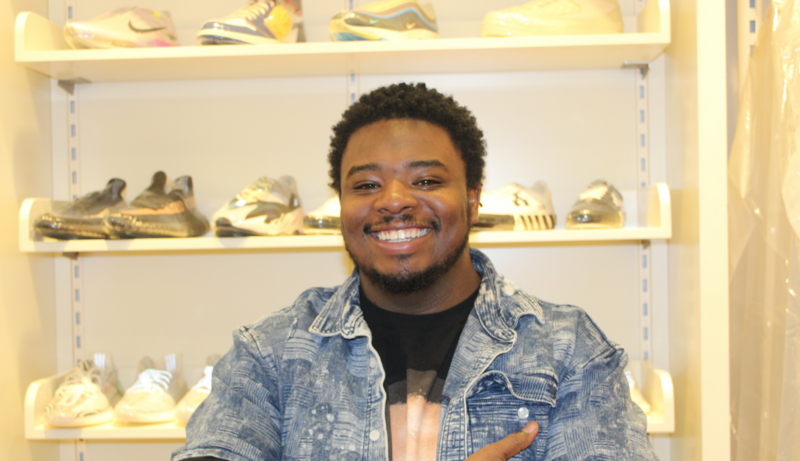 “I used to always want to work in a shoe store,” said Chisolm. “I was always into sneaker culture and I wanted to be a part of it in some way. Kyle was my pastor back at Crossroads, and I knew of his business. When I came up to Lansing, I offered to work at his store for free to clean and maintain the inventory. I did that for a while, but he eventually decided to bring me on to his official staff. Chisolm and Lake share a vision of bringing the community together as much as possible using the business as their platform, whether it is holding gaming tournaments, scavenger hunts in the mall and doing more fundraisers and giveaways. Lake has also been growing on social media. His Instagram page, @smokinsoleslansing, has over 4,000 followers, and he is active on it every day, letting his followers know to come to the store, new inventory updates and even issuing challenges for his followers to post a pair of shoes that they are wearing that day. Lake’s business has been encountered by people from across Michigan, as well as people from as far as Alabama and even Europe. He hopes that the outreach of his store can continue to expand. 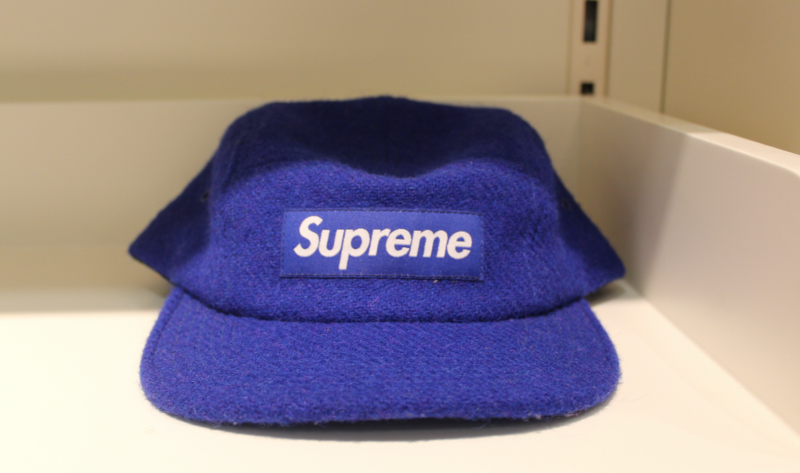 Supreme is one of the most popular streetwear brands in the market.